There’s a new exercise program or diet fad every year. We all want to be healthy, keep our weight under control, and keep those stress levels down to a minimum. If you’re always making promises to yourself that this is the year you will be healthier, but you always seem to end up breaking them, then you might want to try yoga. Yoga has been with us for as long as we can remember. It isn’t a quick-fix fad. Yoga is more than just another way to exercise. It can be a profound change in the way you live your life. It’s a holistic mind and body workout that mixes stretching, muscle strengthening, meditation, and relaxation. Are you ready to start making a change today? 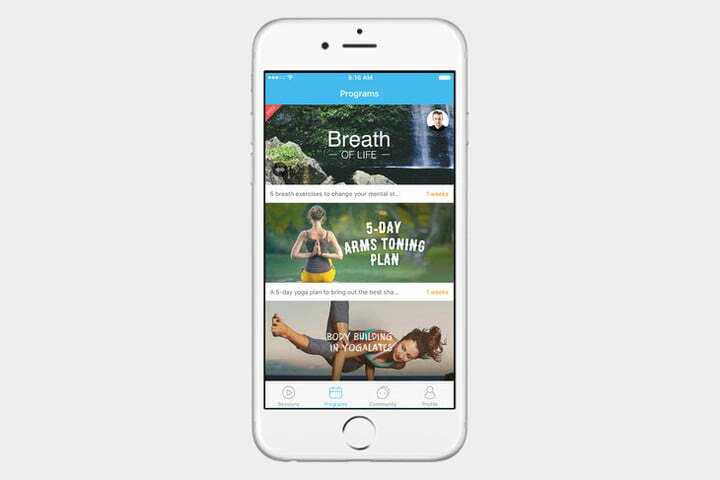 Say “namaste” to some of the best yoga apps for Android and iOS. If you want to improve your yoga skills, you should also check out Nadi X, the wearable technology that promises to do just that. Go deeper into your fitness routine and take a look at our picks for the best fitness trackersand the best fitness apps for iPhone and Android. 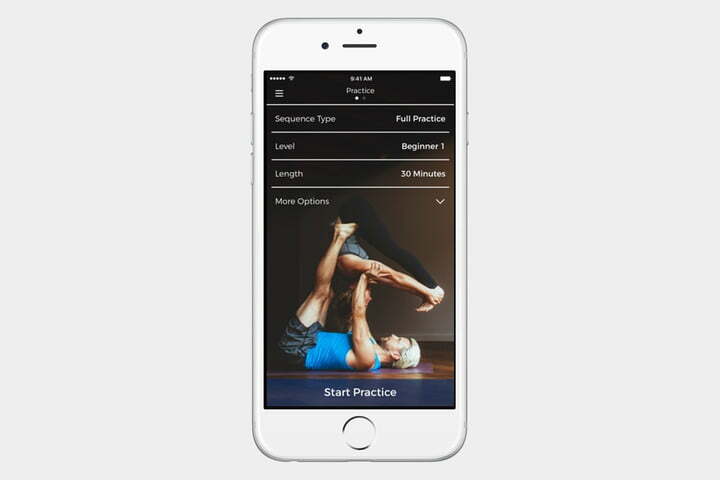 This is a really nicely designed yoga app for practicing at home, whatever your level. Practices are broken down by type, level, and length, and the interface is easy to get to grips with. The best thing here is the mix of vocal instruction and background music. We like the fact you get a different session every time, but you can subscribe for $8 per month or $50 for a year and set up targeted sessions to focus where you want. Here’s a good yoga app for beginners. This app offers easy to follow instructions for more than 100 different poses. Each one is a downloadable video, so you can pick and choose what you want to try. There are also free classes to help you improve your balance, strength, and flexibility. You can unlock more content with a subscription, but it’s way overpriced at $4 per week or $13 per month. If you subscribe for a year, then it works out at $3 per month, which is a bit more reasonable. 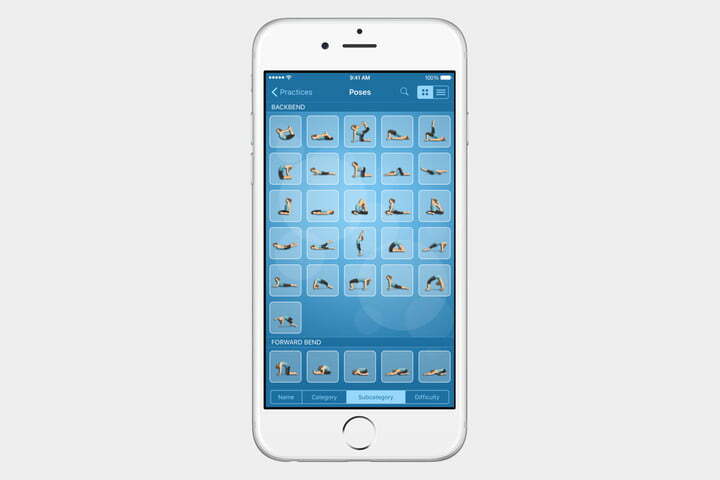 This app is suitable for all levels, whether you’re a yoga beginner or already advanced. You’ll find more than 200 guided classes dedicated to yoga, pilates, meditation, and even workout plans. 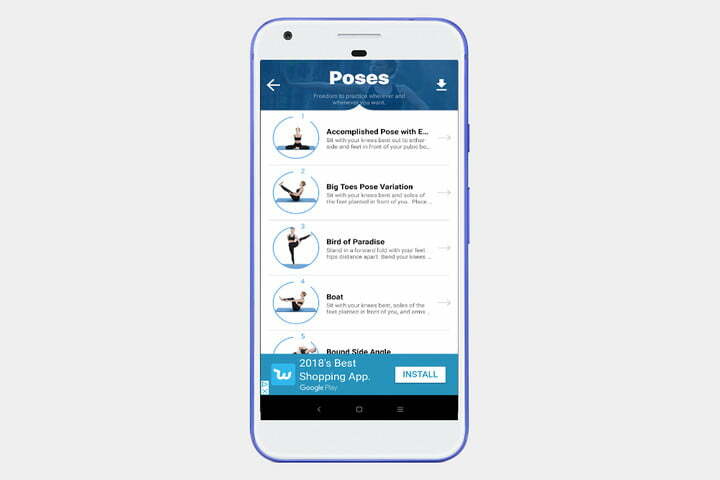 The app provides you with step-by-step instructions so that you can master things like full splits, shoulder stands, and many other hard poses in a safe way. You can share your workouts and calories burned with Apple’s Health App if you wish. To access all the premium content, you must subscribe to a monthly plan at $8 per month or $40 for the year. Simply Yoga guides you through a series of videos lasting between 20 minutes and an hour that cover more than 30 poses that you can do in the privacy of your own home. There’s some decent free content, but be prepared to put up with adverts. When you’re ready to move to the next level, you can opt to purchase the full version of the app, which includes the second level of workouts, the ability to create custom routines, landscape mode, and no more ads. As the name suggests, Pocket Yoga is something you can have with you at all times, so that you can do it anywhere. With more than 200 illustrated poses and detailed voice instructions, Pocket Yoga is a comprehensive guide to yoga exercises. You can preview various practices and play your own music. The app will log your progress every step of the way. Pocket Yoga is also compatible with Apple TV, so you can stream sessions via AirPlay. If you wear the Apple Watch, Pocket Yoga will use it to display the current pose, time remaining, your heart rate, calories burned, and a lot more. With more than 80 yoga and meditation classes, ranging from 10 to 60 minutes at any difficulty level, Yoga Studio guides you through poses with HD video classes. It has a robust catalog of more than 280 poses, which should be enough for most people. This app can serve beginners as well as experts. It also works with Apple TV so that you can play the videos using AirPlay. The app lets you choose from a selection of background sounds or music, or you can create a playlist from your music library. If you want access to all the features, you can pay a subscription of $2 per month or $20 for the year. 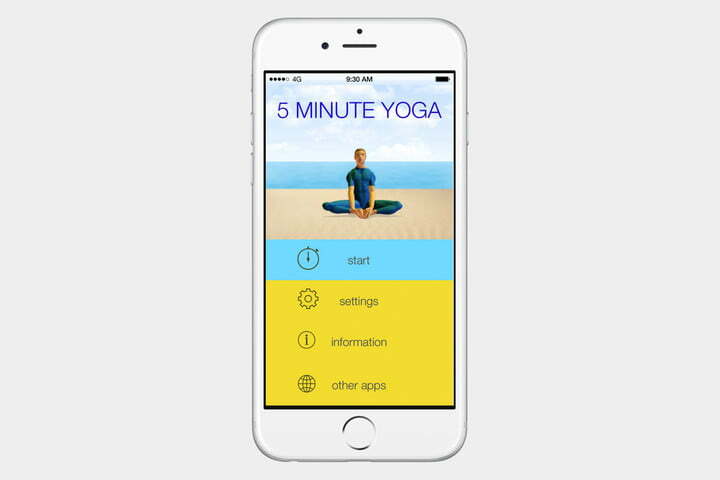 If you don’t have enough time during the day for an extended yoga session, this app can help by offering yoga activities for five minutes. The barebones app is good for beginners, as it offers simple poses with a timer to make sure you’re doing them for five minutes. There is an optional premium subscription that you can pay monthly or annually. Prices range from $2 to $10 for a full upgrade.